My friend, Mike Schneider, was the impetus behind a new organization called 100 Men on A Mission – a group of local men who are committed to supporting our local community in Des Moines, Iowa. In the fall of 2011, Mike shared his vision for a community initiative. His vision was not new, but it was new to the men of Des Moines. Mike knew about Women Who Care; an organization of 100+ Women who gathered together to donate to local charities. Mike knew there was power in numbers. So he rallied 9 of his friends. Our founding group met to discuss the impact this initiative could have for our community and the difference we could make in the lives of local individuals. We were committed to taking Mike’s vision and collectively making that happen. Each of us left that meeting charged with inviting at least 10 of our colleagues in order to meet our goal of 100+ men at the very first meeting. As we approached the inaugural meeting on January 9, 2012, we were all anxious to see our vision unfold. I’m pleased to say we definitely surpassed our goal. That first night, there were close to 100 men in attendance and we raised approximately $10,000 for Gigi’s Playhouse, a local nonprofit serving adults and children with Down Syndrome. Wow, what an impact! While it is daunting for one person to make a very large impact singly, as a group we have the ability to contribute to the growth of our community in ways we never before thought possible. Our mission is to reach out and help our community by finding 100 or more men to each contribute $100 four times a year to give $40,000+ annually to local charities. Each member has their own passions and interests and can choose to represent a local Des Moines area charity at each meeting. The requirement for nomination is simple: All charities and organizations up for consideration must assure the funds are to be used in the Des Moines metro area. All charities are thrown into a hat and 3 charities are selected at random. Each member has 5 minutes to present their cause and explain what the donation would be used for if they were to be selected. Once their 5 minutes is up, they have 5 minutes of Q&A from the group at large. After all 3 charities have presented, the group votes and the majority winner receives the donation; $100 from each member. In just two short years since that first meeting, 100 Men on a Mission has successfully given over $100,000 to local charities in Greater Des Moines. We have held 10 meetings and are honored to select such organizations as: Gigi’s Playhouse, Jesus Says, “Go,” Project 52, Booster Pak, Children’s Cancer Connection, Valley Disaster Relief, Best Buddies of Iowa, Twister (a program of Two Rivers Church), Iowa Remembrance Run & Miracle Travel Works. Outside of the charities selected above, the group has also been able to learn of 20 additional charities which builds a greater awareness of those organizations and their work in our community. Reflecting back when this was just an idea from one guy wanting to make a difference, I had no idea the impact we would be making in just 2 short years. I am humbled to say that it has opened my eyes to the possibilities we have and the need of people in our community. I would invite you to learn more about these charities and get involved in something that you are passionate about. 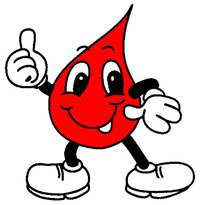 On Thursday, May 15th, the LifeServe Bloodmobile will be parked in the McGowen, Hurst, Clark & Smith parking lot. This is one of many ways throughout the year that MHC&S gives back to our community. Feel free to come out and join in our mission to save lives! Just click here to make an appointment. 1. Most people get along great with the process – it really helps to drink extra water both before and after donating. 2. The nurse gives me a mini-physical each time I donate – free healthcare! 3. The beds on the mobile units are too short for me, but most people fit just fine. 4. The best part is the great snacks they give you after donating. You are currently viewing the archives for May, 2014 at McGowen, Hurst, Clark & Smith.